President Donald Trump nominated a Santa Fe attorney to be the next U.S. Attorney for New Mexico. Trump announced Nov. 1, that John C. Anderson is his choice for the position, which has been vacant for nearly eight months. U.S. 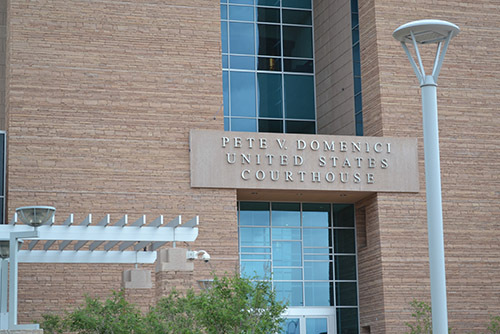 Senators Tom Udall and Martin Heinrich, both Democrats, and U.S. Rep. Steve Pearce, a Republican, suggested Anderson and Assistant U.S. Attorney Fred Federici as candidates for the position, which has been empty since March 10 when U.S. Attorney General Jeff Sessions asked Damon Martinez and more than 40 other U.S. Attorneys to resign. The U.S. Senate will need to confirm his appointment. Anderson is currently of counsel at Holland & Hart LLP, a Santa Fe law firm that “focuses on complex litigation and government investigations,” according to the White House. Anderson was previously an Assistant U.S. Attorney in New Mexico under President Barack Obama. Since Martinez resigned, James D. Tierney has served as the Acting U.S. Attorney. 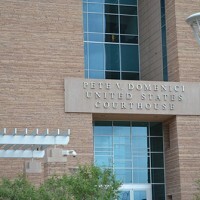 The U.S. Attorney’s position in New Mexico became controversial in 2006 when David Iglesias was fired by President George W. Bush. Republican officials, including then-Republican Party of New Mexico chairman Allen Weh, then-U.S. Senator Pete Domenici and then-U.S. Rep. Heather Wilson, allegedly pushed for Iglesias’ ouster. The New Mexico delegation also made recommendations for the next U.S. Marshal in the state. So far, Trump has not announced his nominee for that position.